While there’s been no immediate statement from Russia or China to corroborate the idea of imminent talks, the tweet was interpreted as a turnaround for the U.S. president. Trump campaigned on rebuilding the military and won hard-fought national defense increases in 2018 ($700 billion) and 2019 ($716 billion), but now fueled speculation Trump is doubling down on plans to cut back in his fiscal 2020 budget request for the Pentagon. “He seems to be suggesting the current level of defense spending is crazy, and the implication is he wants to reduce it and he wants to do it through negotiation with Russia and China,” said Todd Harrison, a defense budget expert with the Center for Strategic and International Studies. "The two chief drivers of our national defense spending have been Russia and China, and he is suggesting he wants to reduce our spending through talks with them. This is huge. This is new,” Harrison added. Another interpretation is that Trump — after announcing last month the U.S. would unilaterally “terminate” the 1987 Intermediate-Range Nuclear Forces Treaty — could be tweeting in an attempting to pressure Russia and China to renegotiate the pact, according to James Jay Carafano, an expert with the conservative think tank Heritage Foundation. Trump’s withdrawal from the INF Treaty has been fueled by the arguments Moscow has developed and deployed a prohibited missile and that China, which is not a party to the pact, is gaining a military advantage in East Asia by deploying large numbers of treaty-noncompliant missiles. Get up to speed with this week's blizzard of partisan messaging about America's nuclear arsenal. Either way, it was a sobering tweet for defense budget watchers. Pentagon planners have been scrambling to rework their 2020 proposals in the wake of Trump’s surprise announcement that he would require all federal agencies to trim 5 percent off their spending for the current fiscal year. The president said the Defense Department would be excluded from that requirement, but would eye a national defense appropriations target of $700 billion — far below the anticipated $733 billion level of military planners. A $33 billion cut is likely to target quantities of ships, aircraft, vehicles and other hardware, as operations and maintenance costs, and personnel costs, are tough to quickly extract. Budgeteers are likely to “sprinkle across many different things and hope Congress adds money back,” Harrison said. In recent weeks, lawmakers have begun lobbying administration officials to raise their military spending plan. At the Reagan National Defense Forum on Saturday, Defense Secretary Jim Mattis voiced support for the $733 billion mark, calling it critical for the continued recapitalization of the armed forces. The chairmen of the House and Senate Armed Services committees on Friday implored Trump to boost defense spending plans in fiscal 2020 over already announced targets, arguing the lower funding levels will undermine recent improvements in military readiness. In a Wall Street Journal editorial titled “Don’t cut military spending, Mr. President,” Rep. Mac Thornberry, R-Texas, and Sen. Jim Inhofe, R-Okla., said that a smaller defense budget won’t have a major impact on fixing the national deficit but will have a crippling effect on military equipment purchases and end strength. Secretary of Defense Jim Mattis appeared at the Reagan National Defense Forum on Dec. 1, 2018. The administration’s National Defense Strategy, released in January, is aimed at shoring up America’s military edge against Russia and China. In October, Trump said the U.S. would increase its nuclear arsenal until other nations “come to their senses,” and he threatened an arms race. 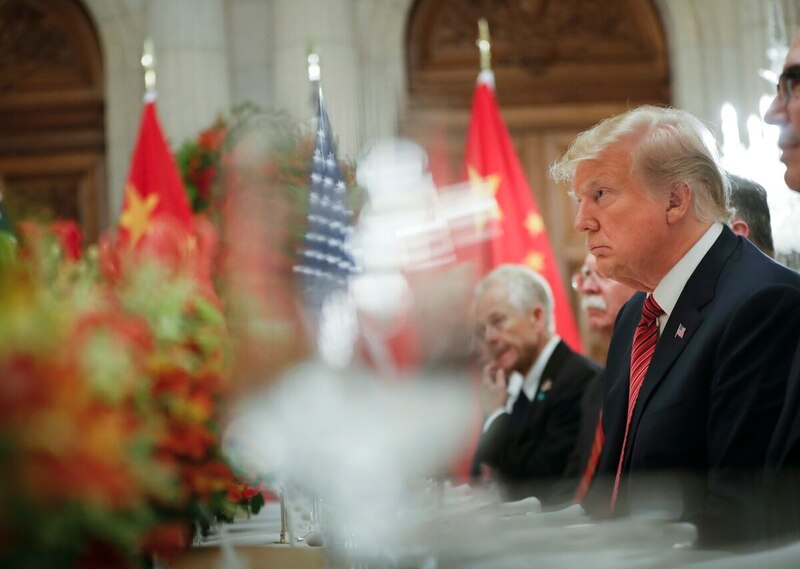 Trump and Xi met at the G-20 summit in Argentina and agreed to what’s been reported as a cease-fire over the two nations’ trade disputes. There’s been no joint statement outlining the specific deal points. Leo Shane III in Washington contributed to this report.